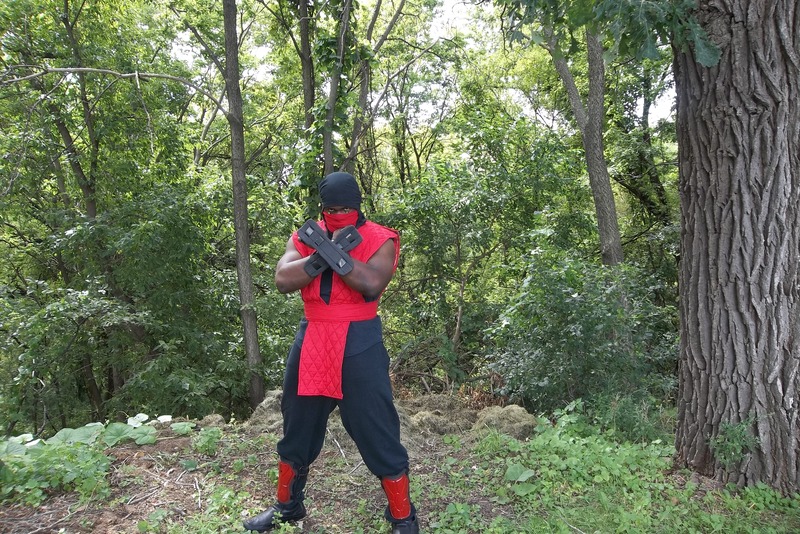 After Briana’s great article, “The Importance of #28DaysOfBlackCosplay,” we thought you might like to meet some of the local black cosplayers here in Minnesota. 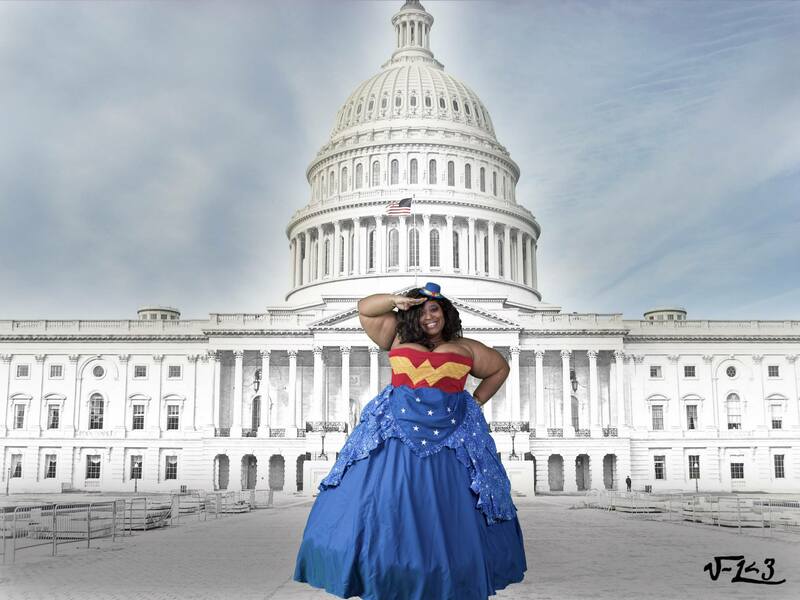 This is the second of three posts over three days celebrating #28DaysOfBlackCosplay by introducing you to some awesome Minnesotans and their awesome cosplay! Cyril Cosplay has a fan page on Facebook. Cyril Cosplay: Cosplay is important to me because it helps me express myself. I love modeling all my cosplays, and putting on fun crazy makeup to look like an anime character. I’ve been cosplaying for about five years now, and I don’t plan on stopping anytime soon! Cyril Cosplay: My inspirations are definitely Yaya Han, Jessica Nigri, and Reika. I one day hope to be able to sew and and construct armor and props in a short amount of time like all of them. Cyril Cosplay: The cosplay community in Minnesota is so extremely welcoming and kind. I always have so much fun hanging out with everyone and making new friends whenever I go to cosplay event or con. Cyril Cosplay: You can always find me at Anime Detour. I also occasionally go to other Minnesota conventions. I’ve been to AniMinneapolis twice, and Anime Fusion once, and I plan to attend some other Minnesota cons in the near future. Master Trekkie has a page on Facebook. Master Trekkie as a TNG engineer. 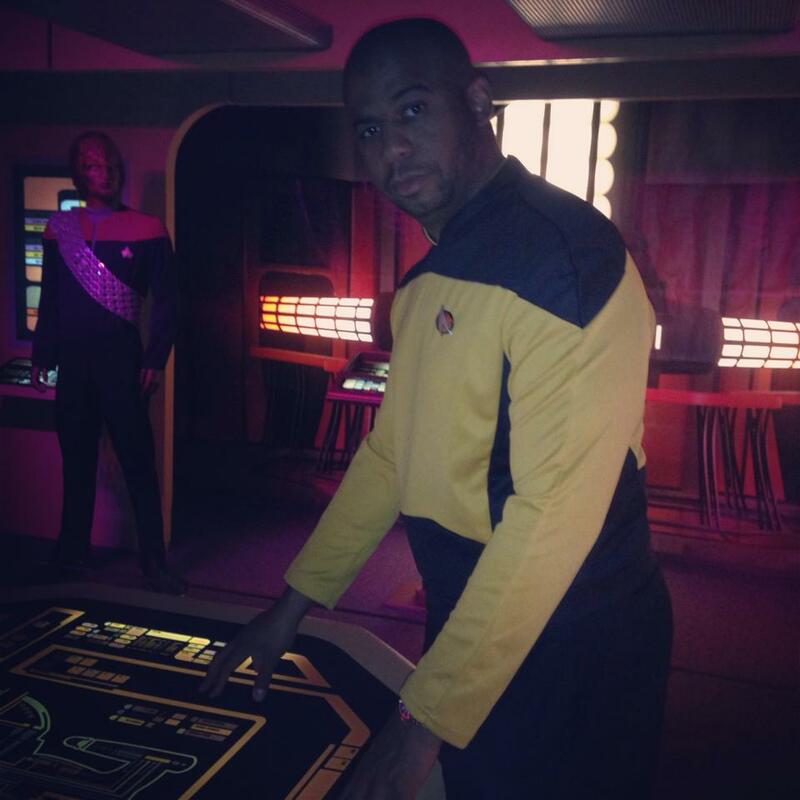 Master Trekkie: I may be a bit different in that I build and dress up for my own enjoyment. I don’t enter contests or LARP. I do it purely for the love of the fandom. It’s not that I wouldn’t enter a contest or LARP, but for me, it’s just about enjoying being a super nerd, hanging with other super nerds. That’s why cosplay is important to me: because I see it as a way to physically connect with your fandom, and subsequently, other fans. When I set out to build a costume, there’s a sort of weird bonding moment—and again, this might just be my own take—where the original plans fall away and the costume just sort of naturally occurs. Like when writing music, there’s an idea that starts it, but then as the piece matures (adding other musicians, performing live, recording, et cetera) it often takes a different direction than what you started with. For example, the Ninth-Century Klingon costume had originally started out as an Alt-Timeline Klingon (Abrams-era films). I’d designed and built a helmet and chest armor out of cardboard and papier-mâché, but as I was working on the jumpsuit and overcoat, realized that it would “feel” better as a Ninth-Century Klingon, like that’s what it was meant to be. I’m a big fan of Klingon mytho-history (hail Kahless!!! )—so with the build going off in a completely different direction than the original plan, had to do some research. Meaning, I got to read and discover a lot of deep Klingon history via Memory-Alpha, Memory-Beta, Trek novels, and fanfic. It was great! Not to mention all the deep Trek conversations that sparked while I was wearing it. Granted, conversations probably would’ve still happened but wouldn’t have likely been more in-depth than “cool Klingon.” Which brings it back to my point at the beginning: for me, it’s about a deeper enjoyment and connection with the fandom, and fellow fans. 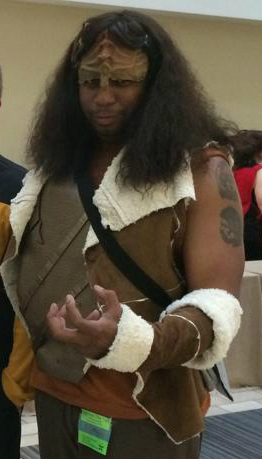 Master Trekkie as a Klingon. Master Trekkie: I’m inspired by the DIYers. The ones with minuscule budgets and random materials that come up with some amazing results. I’m also inspired by clever costuming—for example there was a woman dressed as World War I–era United Federation of Planets fighter pilot at CONvergence, or these two guys who started with basic zentai suits, but using a whole lot of liquid latex and paint designed amazing Carnage and Venom costumes (Spider-Man villains). I’m also a huge fan of crossplay—wait, is that term okay?—like when [cosplay model] Ivy Doomkitty does the Rocketeer, or my buddy Missy’s amazing Loki. Really, anything that shows how insanely limitless fandom is. Master Trekkie: I suppose I’d tell fellow Minnesotans that the geek culture, nerd community, or whatever you want to call it is the most inclusive, most accepting, least judgmental group of people you’ll ever meet. And cosplay is a great way to explore and dive deep into whatever you’re into. It doesn’t matter if you build or buy, if it’s a full-body, complex and comprehensive ensemble or a T-shirt and face paint—whatever you’re into it’s groovy with us, dig? As far as the cosplay community, the only thing I’d say is thanks for being so right on. Really, as a nerdy kid from Chicago that used to get beat up for listening to the wrong music, and preferring Star Trek to GI Joe, and being more wrapped up in the formation of Image Comics than the Bulls winning a second championship, it’s insanely groovy to find such a large group of people with similar interests and passions.
. . . And also, what’s the deal with all the Harley Quinn? I mean, don’t get me wrong, even though I’m solidly in the Rebecca Buck and Diana Prince camp (so solid in fact that, yes, I casually refer to Tank Girl and Wonder Woman as Rebecca and Diana), I’m hip to Dr. Quinzel. I’ve got no beef with Mr. J’s number-one fan. But I feel like every at con there’s four times as many Harley Quinns as there were the previous year. Again, I dig it, I mean really, I dig it, but I just don’t get why Harley. Master Trekkie: I got a bit of a late start in the local nerd scene here in the Twin Cities, so I try to go to as many as I can—last year I was at Wizard World, Meta Con, CONvergence (of course), and FallCon. I’m a huge Star Trek fan (my name badge at cons is always Master Trekkie), so Creation’s Star Trek cons gets a bunch of my money too. This year, looking to add MarsCon and MSP ComicCON/SpringCon to the mix as well—I’m kind of bummed I missed the registration cutoff for Anime Detour, but as a Cubs fan, I’ve got no problem waiting until next year. I also really dig the non-con events. My wife and I, along with two friends, coordinate and host TC Trek Trivia, so every month you’ll find me in the hottest looks of the 23rd and 24th century. I’m also a huge, huge fan of the annual Star Trek bar crawl, the Transmission series (I was Freddie Mercury at Bowie night), and really, anytime there’s an chance to dress it up—yes, even if it’s not Star Trek based—I’m always down. Ninjabearbear09 has a profile on DeviantArt. 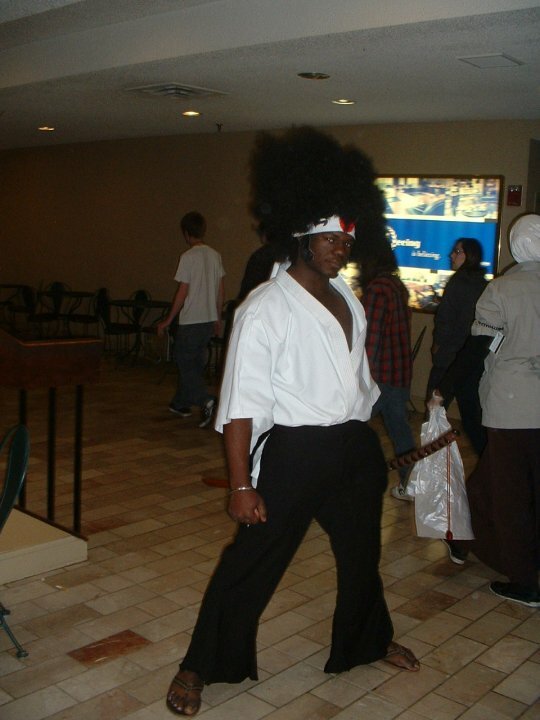 Ninjabearbear09 as Afro Samurai at Anime Detour. Ninjabearbear09: Cosplay has always been a way for me to let go of the normal world and be a part of something I choose to be in. It has connected me with many people and taught me valuable life skills while making costumes. Ninjabearbear09: When I was in high school, a few of my friends told me they were going to a con and I should go. I said, “Sure, sounds like fun.” One of them even made a cosplay for me. 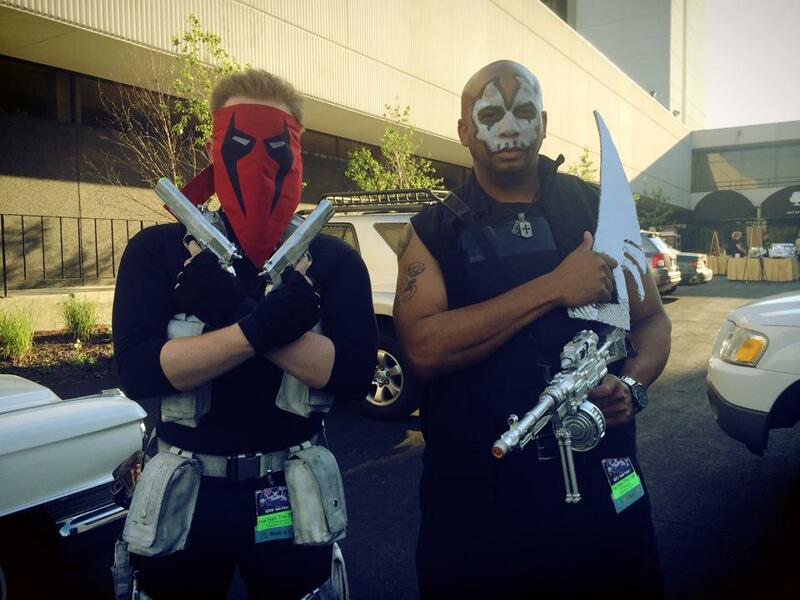 Ninjabearbear09: If I could say anything, I guess it would be: don’t be afraid to cosplay and go to cons. Also, if you’re a Pokémon fan, listen to Professor Oak—don’t go alone. Ninjabearbear09: I usually go to Anime Detour, Meta Con, and FallCon, and I’m just starting to branch out now to different states. 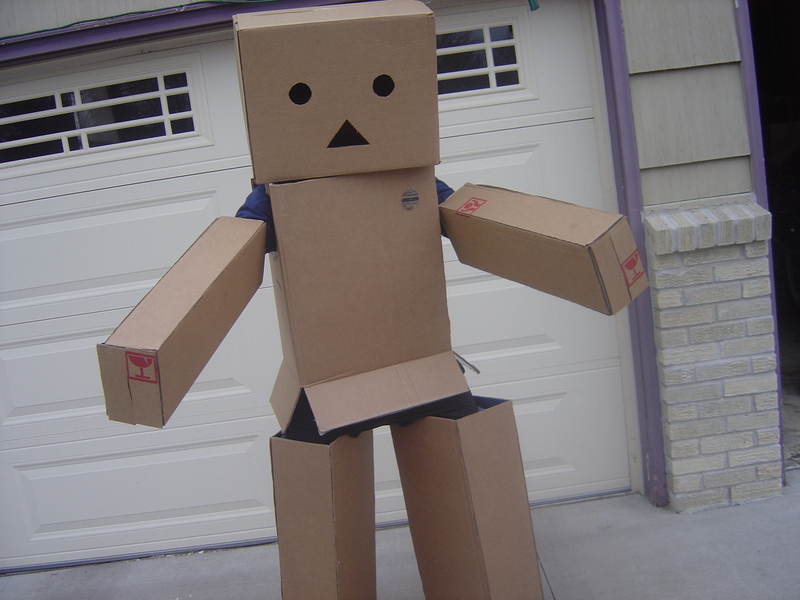 Ninjabearbear09 as the Amazon Box Robot. Brichibi Cosplays has a cosplay page on Facebook, as well as Twitter, Tumblr, and a website where she blogs about her crafts and cosplay. 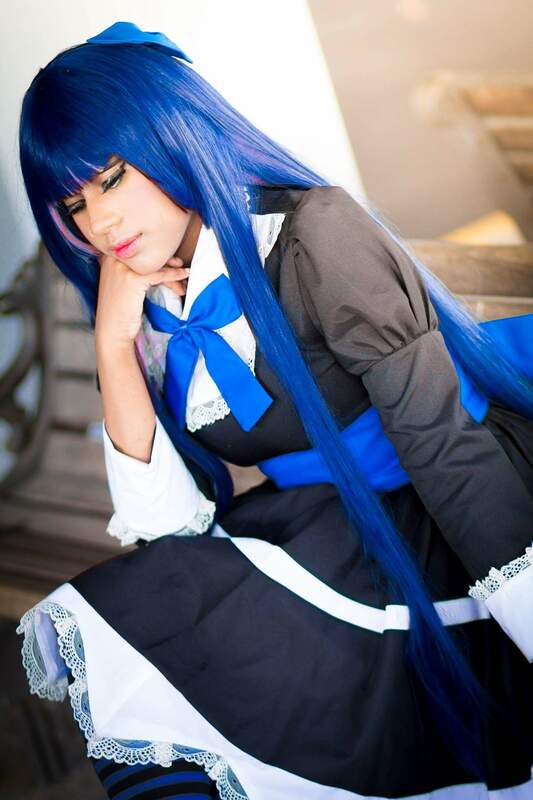 Brichibi Cosplays: Cosplay is one of those things that ended up being more important than I thought it would be. I discovered it back in 2002 when I went to my first anime convention: Anime Central. My dad dropped me off at the hotel and I was suddenly surrounded by all of these people in costume, and I thought it was the coolest thing I had ever seen. Growing up, I was one of the weird kids. On top of loving video games, I loved anime, and back then that wasn’t “normal” for a black girl to be into. I was told that I wasn’t “a normal black girl,” to “stop acting white,” and was pretty much told that I wasn’t portraying my race accurately. I was also told that I “wasn’t a real girl” because I played video games. Add the fact that I was overweight and I was just this ball of oddness to people. However, there was still that voice that told me I couldn’t completely join in this experience. Cosplay was still predominantly white, and as far as characters to cosplay went, I didn’t have many fat, plus-sized options. But as the years went on I learned that cosplay is about showing love for a character. You can be fat and cosplay. You can be black and cosplay. And more and more people are discovering that and embracing it. 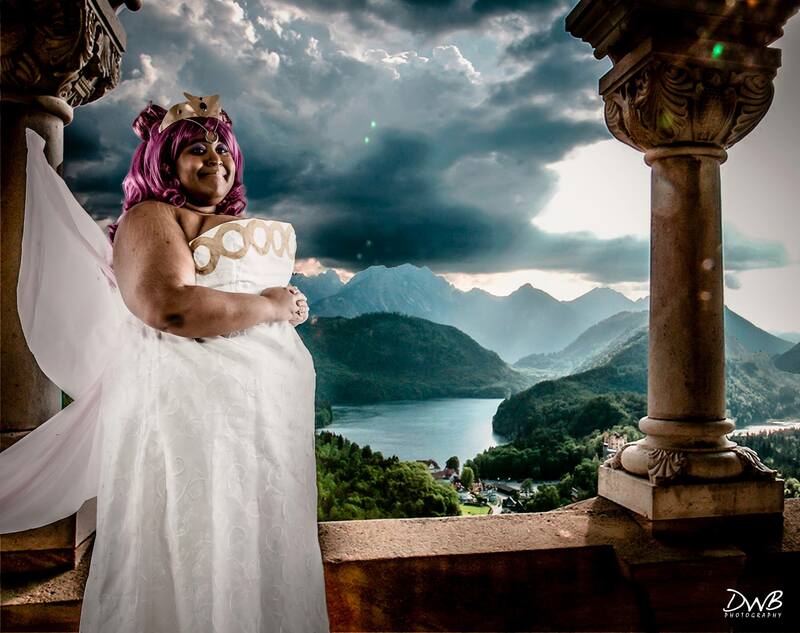 More diverse cosplayers are coming out and showing that this is something that’s for everyone. Even if, at times, there’s some negativity, we’re such a close, welcoming community that we’re always there for each other when we need it. Cosplay is about being yourself, loving yourself, and having a good time celebrating the characters you love. 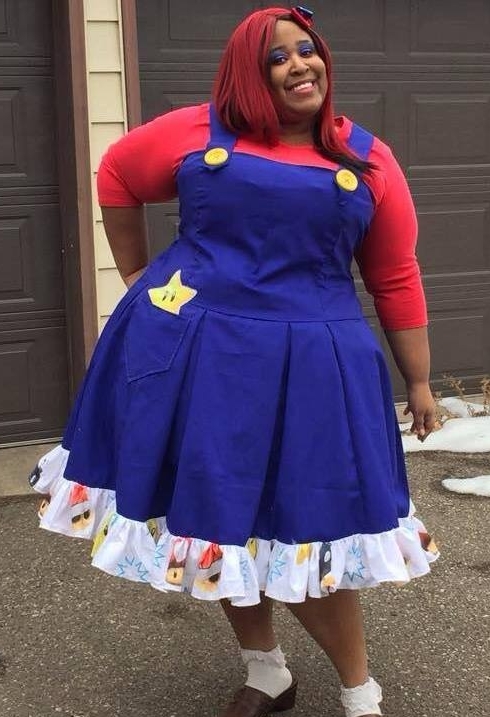 Brichibbi Cosplays as Super Mario. Brichibi Cosplays: My parents, who support everything I do. My mom actually watches my cosplay page and even if she has no idea who half these characters are, she loves seeing me out here doing this. My dad isn’t really online, but I can talk to him about what conventions I’m going to and he’s excited that I’m into all of this. My biggest inspiration will always be my older brother. He passed away when I was 13, but he’s still a huge influence on my life. He was such a good person, and I always want to do things that would make him proud. My biggest cosplay influence is my partner, who goes by SnowCosplays online. She’s the one who makes my cosplay and she is so supportive of me. She’s the one who explained what cosplay was back at Anime Central all those years ago when I was wondering about all of the costumes around me. We’ve been together for 13 years, and its been amazing. If I ever think I can’t do a character, for whatever reason, she builds me up and reassures me that I can cosplay anyone I want and that she’ll make the cosplay look good on me. She succeeds each and every time. 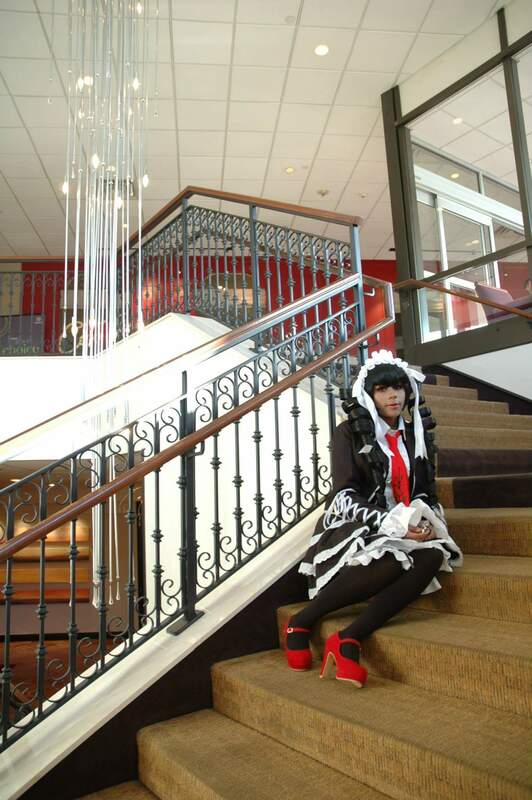 Brichibi Cosplays: The geek community in general in Minnesota is always opening and welcoming. Whether it’s at a convention with numerous panels or the Geek Partnership Society, we have an open and loving community full of all sorts of geeks. If you want to cosplay, just go for it. If you’re ever concerned about it, don’t be afraid to turn to one of the many groups out there for advice, or to just see how accepting everyone is. I know when I first started, I was worried about who I could cosplay and thought I was limited because of my race and my weight. That still happens, sometimes. Sometimes I still get that voice in my head, but there are so many positive groups to join and people to follow that that insecure voice is quieted and I end up remembering one really important lesson: cosplay is for everyone. Not everyone out there may believe it, but I do, and there are plenty of others who do, too, who will welcome you and accept you. Brichibi Cosplays: Anime Detour is coming up, and I’ll be there with a table in artist alley and doing two panels: “Love Your Cosplay Body,” and I’ll be on the “It Gets Better” panel as well. I should also be at CONvergence. These two are for-sure conventions for me, but there’s others I’ll be looking into, like Anime Fusion and FallCon and things like that.